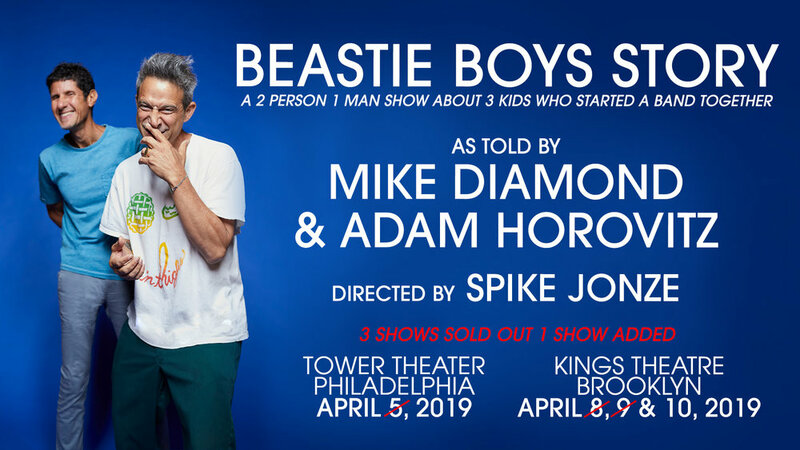 With their previously announced Philadelphia and two Brooklyn shows having sold out instantly, Adam “Adrock” Horovitz and Michael “Mike D” Diamond have confirmed a third night in Brooklyn for Beastie Boys Story – A 2 Person 1 Man Show About 3 Kids Who Started a Band Together - As Told By Michael Diamond & Adam Horovitz. Directed by Spike Jonze. Tickets are on sale to the public Thursday, March 21st at 10am local time. More information at BeastieBoys.com and Ticketmaster.com, or visit BeastieBoysBook.com.